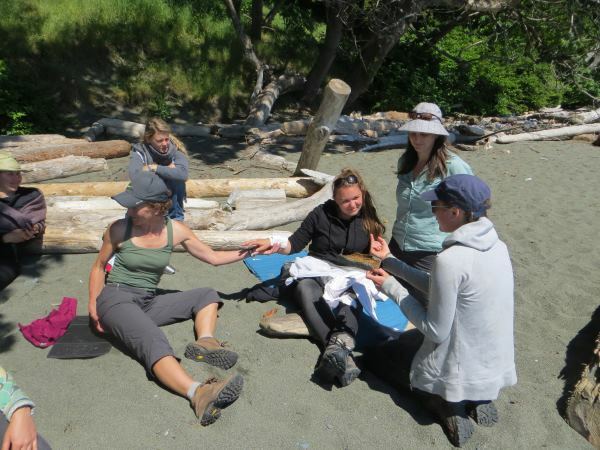 Four of our guide school graduates went down to Vancouver Island to participate in a Wilderness First Aid Survival Course. After guide school, First Aid is one of the credentials to be a Guide for our Outfit especially when you are in the bush and you have no way of getting an ambulance out there. Other courses we offer for your guide skills are guide school, Food safe, Bushcraft and Survival, PAL and CORE.